Looking for retail fixtures that is sturdy and dependable but also offer versatility? Check out All Store Displays for sturdy and dependable Wire Retail Fixtures! 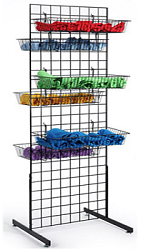 These store display racks are a great way to customize your store and display merchandise that is convenient for both you and your customers. 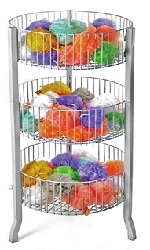 We offer a wide range of various shapes and styles of retail wire fixtures from the round shaped 3-Tier Floor Basket Bins that's ideal for stuffed animals along with other prepackaged merchandise. 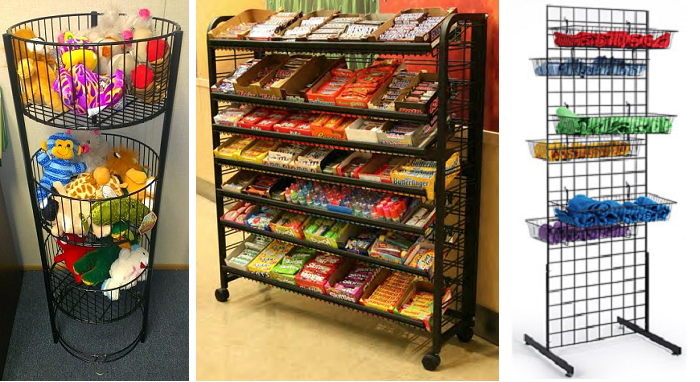 Pop-up candy and produce racks for your grocery stores or in convenience stores for those last minute "I almost forgot moments." Use less floor space with such items as the Double Sided Wire Mesh Basket to hold products like hair accessories, key chains, and more. See the many types and sizes for yourself. Shoppers can easily see the displayed products in the bins and on the shelves. 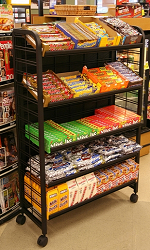 Get the most out of your retail counter space by including wire racks for impulse items such as candy, snack foods and more. With metal selections that spin and stack, you can bring those last-minute sale items up to a whole new level. Create an eye-catching exhibit and gain attention from potential patrons and window shoppers with these store racks and product displays. These fixtures are designed to make restocking shelves and bins easier and more sensible. Organize your store with the many variations of custom wire displays. 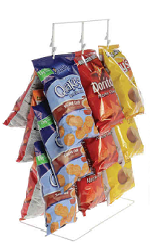 Portable metal racks are ideal for filling and spotlighting merchandise for daily highlights and specials. If you are looking for a quick fix and just starting out, come and check the many variations of metal fixtures and shelving that is included in our inventory. Take a chance on potentially increasing sales and profits. Discover that we have the answer to your retail needs today!